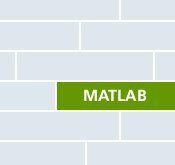 The math software packet MATLAB from The Mathworks Inc. is supported with the help of a universal driver for all boards of one series. The MATLAB driver itself consists of a set of Mex-files converting the functionality of the underlying operating system driver to MATLAB. These Mex-files only act as a link between MATLAB and the driver to allow complete access to the functionality of the board without any restriction. For each kind of board an m-language example is delivered with the MATLAB driver. This example may be used as a base for user programing. The interface also offers an easy way to use the Spectrum cards with Simulink. The driver supports MATLAB versions starting with version 7.7 (R2008b). All 32 Bit and 64 Bit versions for Windows and all 64 Bit versions for Linux are supported. For the usage of the cards under MATLAB only the base version of the software package is necessary, no additional software options like the data acquisition toolkit are necessary.